I'll be off to Denver the last weekend of June for the International New Age Trade Show (INATS). I'll be performing there and presenting two new CDs, A Higher Dimension and Sky Jazz. I just found out that my CD 11:11 Piano Meditations for Awakening is one of three finalists in it's category for a COVR (Coalition of Visionary Resources) award. INATS is always a great time for me to meet friends in the New Age business community. For those of you coming to the show, I hope to meet you at my booth #656, at performance and/or CD signing. 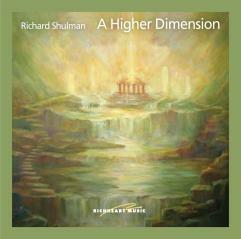 A Higher Dimension CD now here! Link to "A Higher Dimension"
The "A Higher Dimension" CDs have arrived and we have them available through our website for retail and mp3 purchase and at New Leaf and New Sound distributors for wholesale purchase. 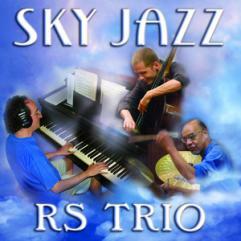 Sky Jazz is on the way! How to Listen to "A Higher Dimension"
When "A Higher Dimension" is listened to, it will NOT deliver the kind of emotional punch that a pop song or Broadway Musical song does. Instead, this music serves as a doorway to a more subtle realm of feeling. In order to receive the benefit from listening, one has to let go of, for a moment, any concerns, worries, misunderstandings, judgements, or irritations that may show up while listening. This isn't done by pushing anything away. For instance, let's say that a feeling or a memory "comes up" while listening. Just be with the feeling or memory and continue to listen to the music. 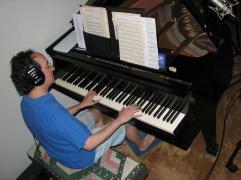 Keep your attention (gently) on the music, note-by-note, chord-by-chord, and something will reveal itself. At first that "something" will seem like "nothing" — hardly noticeable.... Then eventually you may notice a subtle peace in that "something." Just keep following the music. This is "A Higher Dimension." It lives in each one of us — simultaneous and underneath our day-to-day thoughts of who we are. When we discover this subtle realm within us, it changes who we think we are, and when we return to normal life, we are refreshed and healed. It is good to be gentle with ourselves as we return.... feeling our feet and making sure we are well grounded before resuming normal activities!